Giridih District Recruitment 2019 - Below are various recruitment notifications published by District Administration Giridih, Jharkhand / giridih.nic.in. As of now, we don't have any active recruitment notification by Giridih District featured here. We may update as soon as the organization announces a new job notification. If you are looking for any information related to previously organized recruitment drives by Giridih District, you can browse through previous job notifications mentioned below and get the new updates or information you are looking for. 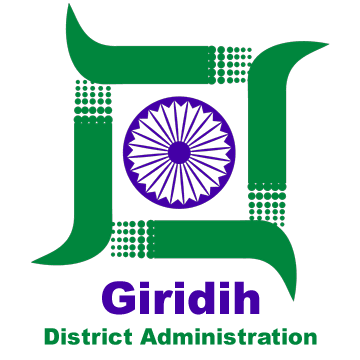 Giridih District Recruitment 2019 - Job notification for 200 Apprentices Posts in Giridih District, Jharkhand. Applications are invited by District Administration Giridih, Jharkhand on or before 15 Feb 2019 09:00 AM for 200 vacancies. Giridih District Recruitment 2018 - Job notification for 19 Full-Time Teacher Posts for only Female candidates in Giridih District, Jharkhand on Contract Basis. Applications are invited by District Administration Giridih, Jharkhand on or before 30 Nov 2018 till 05:00 PM for 19 vacancies. Giridih District Block Coordinator, Block Project Assistant & District Project Assistant Recruitment 2017 - Job notification for Walk in Interview for 17 Block Coordinator, Block Project Assistant & District Project Assistant Posts under Project titled "ICDS System Strengthening and Nutrition Improvement Project (ISSNIP)" in Jharkhand on Contract Basis. Candidates are invited by District Administration Giridih, Jharkhand on 12 Dec 2017 at 10:30 AM for 17 vacancies. Giridih District Recruitment 2017 - Job notification for Walk in for 17 Block Coordinator, Block Project Assistant & District Project Assistant Posts. Applications are invited by District Administration Giridih, Jharkhand on or before 12 Dec 2017 for 17 vacancies. Giridih District Recruitment 2017 - Latest job notification for 59 Technical Assistant, Accountant & Other Vacancies in Jharkhand on Contract Basis. Applications are invited by District Administration Giridih, Jharkhand before 26 Aug 2017 for 59 vacancies. Giridih District Recruitment 2017 - Latest job notification for Network Manager & Block level e-Manager Posts in Jharkhand on Contract Basis. Applications are invited by District Administration Giridih, Jharkhand before 28 Jun 2017 for 2 vacancies. Giridih District Recruitment 2017 - Latest job notification for DeGS - Apply Online for Data Entry Operator/Computer Operator Posts in Jharkhand on Temporary Basis. Applications are invited by District Administration Giridih, Jharkhand before 15 Jun 2017. Giridih District Recruitment 2017 - Latest job notification for District Project Assistant, Block Coordinator & Block Project Assistant Posts. Applications are invited by District Administration Giridih, Jharkhand before 08 May 2017 for 17 vacancies.